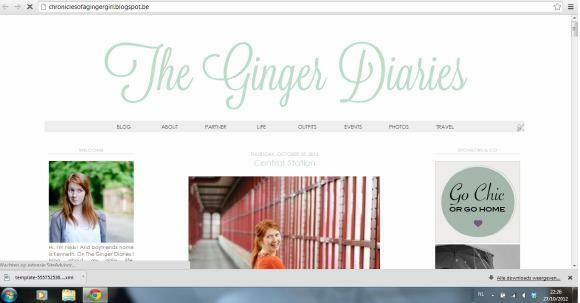 The Ginger Diaries got a facelift! My initial plan was to set up the new lay-out on Monday, but some friends were too anxcious to see it and to be honest, I was SO tired of the old look that I didn’t really want to wait myself. When I first started I wanted to hire a web designer for the job. Things didn’t work out financially, so I had to do the redesign on my own. As those of you who follow me on Twitter might know, that plan did not go smoothly. I downloaded the Photoshop 30 day trial, was way to clumsy to handle the program and eventually remembered I have a few friends in the ICT department in college, haha. Thank you boys for helping me with this mainly CSS based design. and for letting me use pink, because the boys wanted me to do green neon letters. Fo real? that’s SO ugly! I love the new look. I'm in the process of getting a new header…I'm making my graphic designer friend make me something pretty and simple. Thank god for those kind of people! I love the new layout! Very clean and simple but professional and classy! Love this clean, clear layout! I REALLY love it! Now I want to change mine too!